It was Alexa's equivalent of a pocket dial. A woman in Portland, Oregon, claimed her Amazon Echo smart-speaker secretly recorded a private conversation, then sent the audio file to an acquaintance. She told her story to a local news outlet and it spread, stoking fears about always listening devices invading privacy. Amazon confirmed the incident and claimed it was caused by an extremely rare series of events. The Echo misheard four different commands causing it to turn on, record a voice message, and send it to a contact. While that family says they will no longer use Echo devices, there are some less extreme measures that smart speaker fans can take to protect their privacy. It sounds like a simple solution: turn off any features that can accidentally record and share audio. Unfortunately, there is no option to turn off voice messaging in the current Alexa app. You have to talk to Amazon customer service on the phone to turn of messaging. You can call Amazon at (888) 280-4331, or open the Alexa app and go to Help & Feedback and have Amazon customer service call you. Amazon tells us this is the recommended way to turn of messaging features or delete contacts, but it is working on a way to control these settings inside the app. When you first set up an Alexa device on a smartphone, you give the app permission to access the contacts saved on your phone. If you are a new Echo user, you can skip this step and deny it permission. However, once you do give it permission, it uploads your contacts to its servers. Even if you revoke access in the phone's settings, or delete the app completely, Alexa will continue to have all the phone numbers and email addresses it already saved from you address book. The only way to remove them is by calling customer service. You can, however, mute individual contacts in the app. If the volume on an Echo or similar device is turned all the way down, you may not hear it asking for prompts like the name of a contact. Especially if its excellent microphones pick up your voice in a different room. Echo speakers have seven microphones that are always listening for Alexa's "wake" word. The devices only record and upload audio once they hear that word, but as this case illustrates, sometimes it can be triggered by mistake. When you want to be extra sure a smart speaker isn't listening, mute it. The Echo and Google Home have physical mute buttons, and Apple's HomePod has a mute voice command ("Hey Siri, stop listening"). The light ring on the top of an Echo turns red when it is muted. 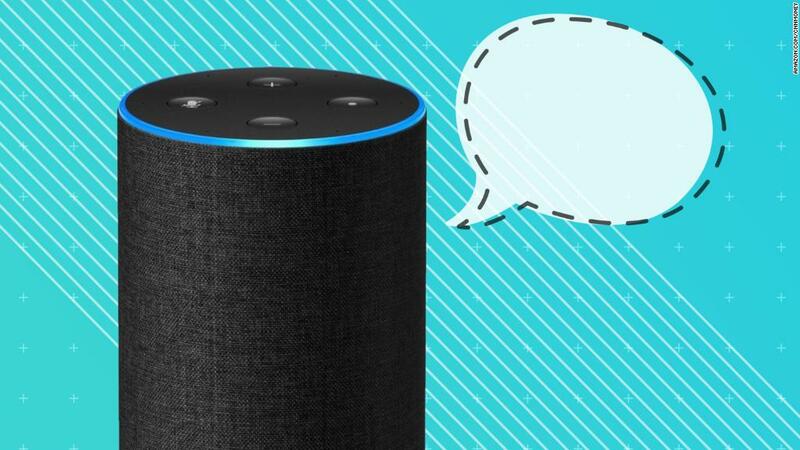 Avoid saying words that sound like "Alexa"
The recent secret recoding incident began when an Echo misheard something that sounded like "Alexa," its trigger word. According to the Rhyming Dictionary there aren't many exact rhymes for Alexa, but you should avoid dropping adnexa, annexa, celexa, lenexa, or reflexa into casual conversations. If someone in your house is actually named Alexa or something similar, you can change the Echo's trigger word to Echo, Amazon or Computer. While people are wringing their hands over the Echo, it's not the only potential privacy risk in your home. There are other smart speakers using always-on microphones, like Google Home and Microsoft's Cortana devices. Smartphones can also be set to an always listening mode, including iPhones and Google's Pixel devices. Devices without microphones can collect private data too. Connected cameras like Ring doorbells and Nest Cams, sensors that track movement, and even something like a "smart" fridge can all collect information about you that you'd rather keep secret. You can unplug them all until you are confident in the tech industries privacy protections, or you can go about your daily life avoiding doing or saying anything embarrassing (or illegal).